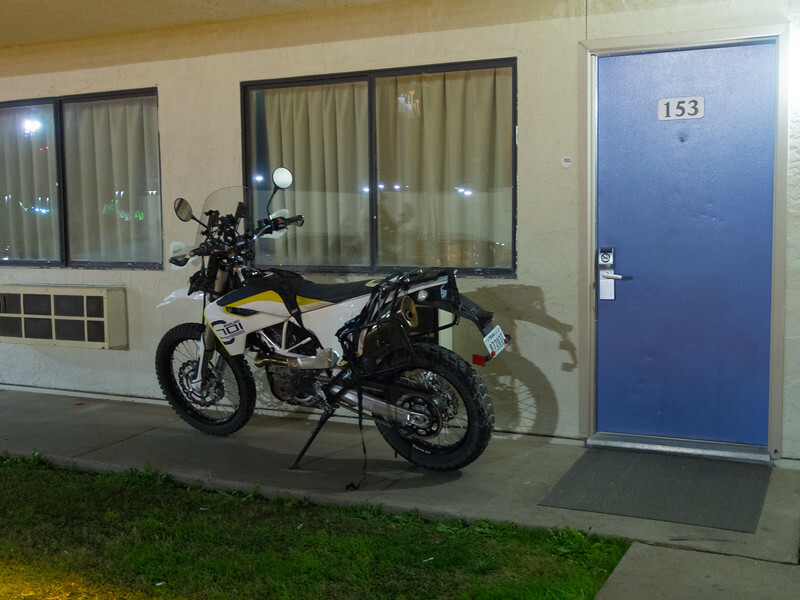 My plan was to leave the bike parked outside our hotel room in Del Rio but my wife was concerned that it would disappear during the night. 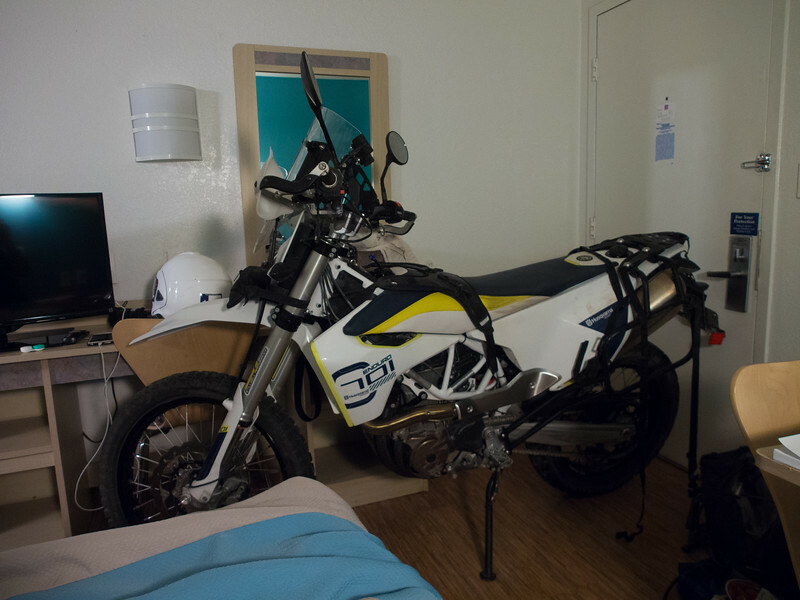 To alleviate her concerns, I moved the bike inside the hotel room with us. Here she is safe and sound.